What's there: 13K, 3 Loops, groomed striding. Groomed the the Michigan DNR after a big snow. 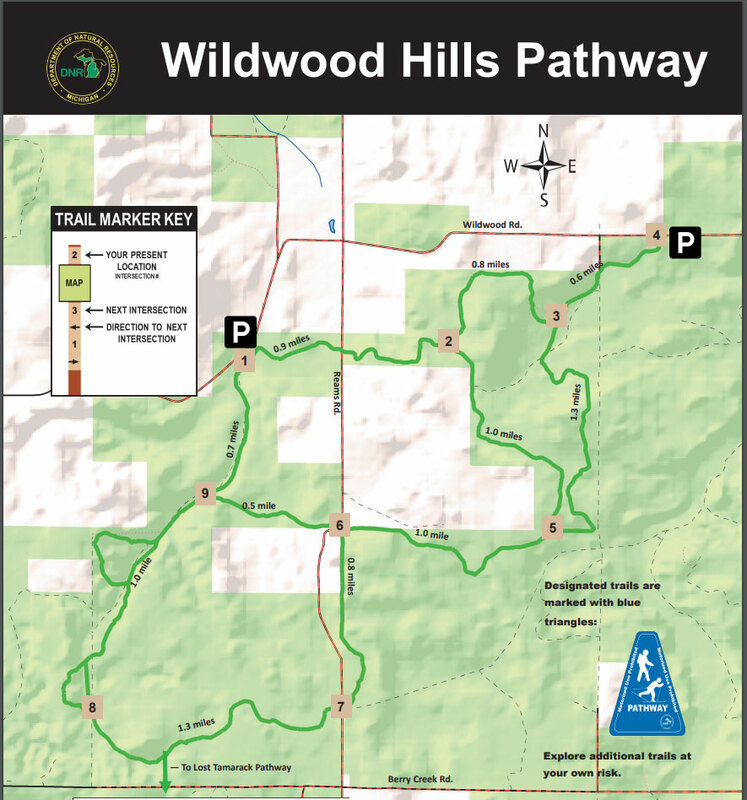 Two trail heads off Wildwood Rd, one closer to Petoskey (just west of Ream Rd at 45.357109,-84.718427), one a little closer to Indian River (Just west of Morton Rd at 45.362891,-84.686219).